You have carefully considered what to teach next year and have dutifully ordered your curriculum. The UPS driver is practically family at this point because he has brought so many boxes to your door. 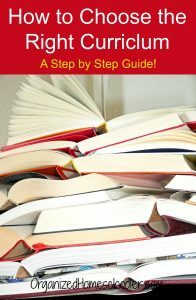 Are you overwhelmed thinking about how to make a plan using all of the wonderful books you bought? 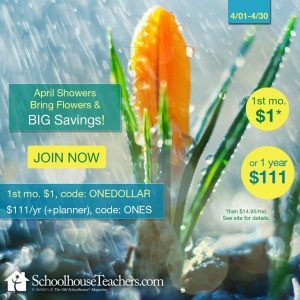 There are so many amazing resources that you don’t want to forget to use. 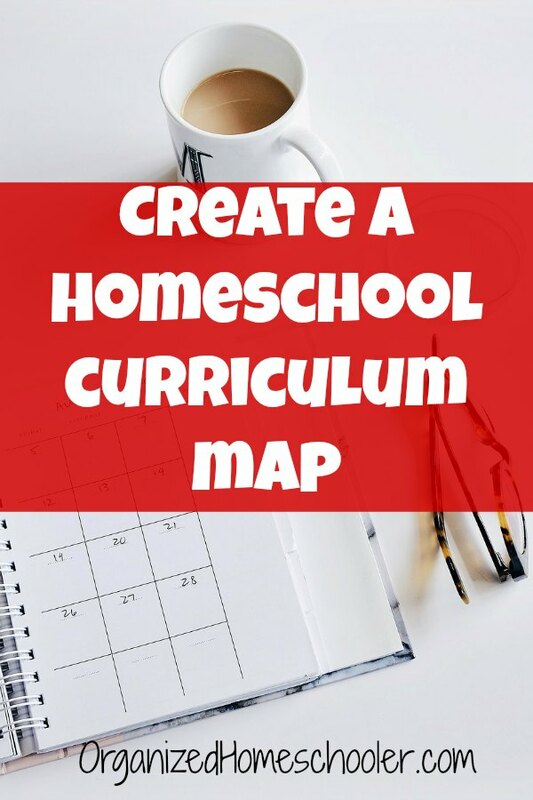 A curriculum map is a great way to plan your homeschool year. Every summer I create a curriculum map for each child for the upcoming school year. A curriculum map is the bare bones plan for the year – not daily lessons. It is basically the topics I want to teach over the course of the year arranged by month. 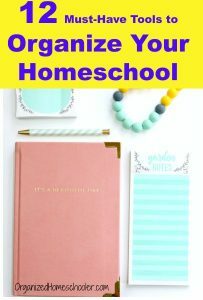 Think of it as the scope and sequence of your homeschool. It is hard to make a plan if you don’t know where you are going. Choosing and ordering curriculum is the first step. Once that is selected and the books arrive, you can start creating your year long curriculum map. Example: We are using NOEO for science. I like to write my curriculum maps in a google document. This makes it easy to copy and paste subjects that I teach to both kids. 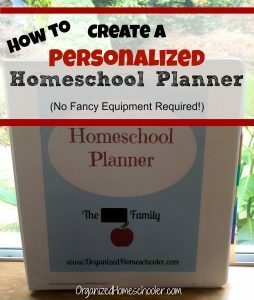 Example: I brought my NOEO teacher manual, school year calendar, and computer to the computer during planning time. This is how I know to only plan 3 weeks in September and 2 weeks in December. We are more likely to stick to our plans if they accurately reflect the amount of time we have for school. You won’t worry about taking time off for a vacation if that time is included in your curriculum map. Example: I want to take two weeks off at Christmas, a full week at Thanksgiving, and a week around Easter. I block out those days in my lesson planner before I start making the curriculum map. Choose a pace that you think will work for each child, but rest assured that you can always adjust your curriculum map later if they work faster or take a little longer to understand something. Example: My kids know a lot about circuits, so we can quickly move through those lessons. I find it easier to map out one subject at a time than to plan month by month. Plan one subject all the way through the school year then move on to the next subject. Example: I will plan all of science before I start planning history. This will tell you roughly how many lessons you should cover each week. 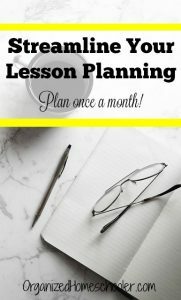 The lessons follow a sequential order so you can quickly plug the lesson numbers and topics into your curriculum map. First Language Lessons is a ready-to-go grammar curriculum. Here is my curriculum map for Ben’s grammar lessons. You will notice that December and June only have a few lessons for the entire month. This is partly because we only school for half of those months, but also because I wanted to build in a little time for review. If you are designing your own curriculum, you have a lot of flexibility about how to set up your year. I design my own reading curriculums for Ben and Hannah. To schedule it in my curriculum map, I choose the order in which we will read our books. Some books naturally fit with certain months due to the story line. For example, we will read Ready Freddy: Thanksgiving Turkey Trouble in November. It would seem kind of silly to read a Thanksgiving story in April! I also try to arrange the books so that they get a bit harder and longer as the year goes on. Here is the curriculum map for Ben’s assigned reading. Notice that it only contains the titles, not the corresponding activities. Those will be planned later. 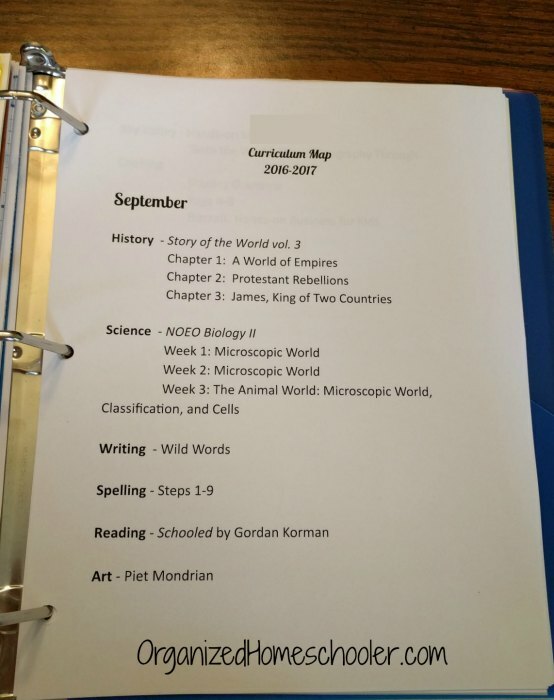 I like to keep each students curriculum map in my homeschool planner. This makes it convenient to develop the framework into detailed weekly lesson plans. Here is a photo of Hannah’s curriculum map so you can see how I format the page. 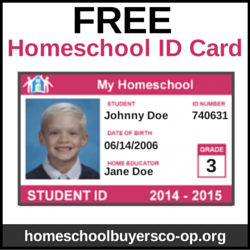 The framework supports your home and your curriculum map supports the school year. The individual lessons, books, activities, and projects are like the furnishings and decor. They are what make your house your home. The activities you plan are what make this your school. 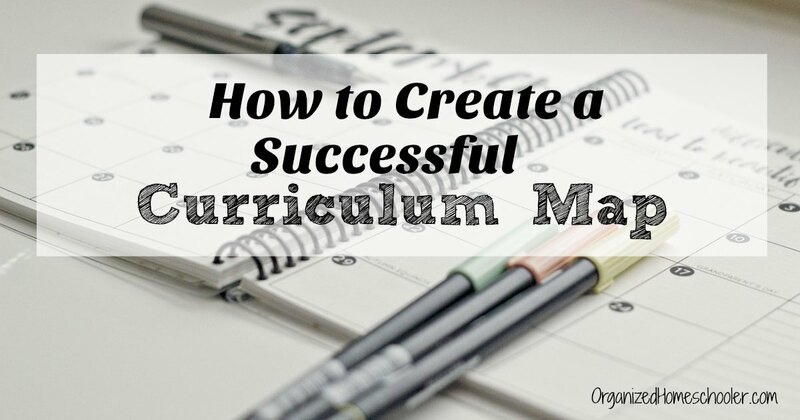 A curriculum map does not need to limit your possibilities. There is plenty of room to add in child-led pursuits. 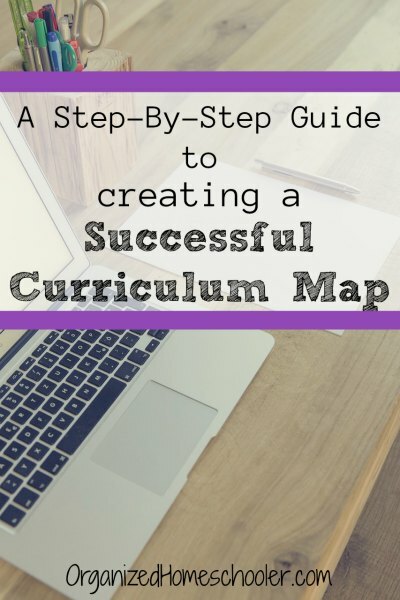 Do you map out your curriculum for the entire year? I’m stealing your reading list for my daughter! I put my own curriculum together our 1st year of homeschool and on Sunday I wrote out our routine for the week on notebook paper. It worked great!